With 30+ years of professional experience as consultant, I have provided services to various industries / business segments which gave me a considerable amount of diversified skills. It has been a long path of success growing in parallel with technology evolution. I have worked for over 3.5 years as IT Director of Plastigel, which is one of the largest plastic manufacturer in Brazil. The company did employ over 850 employees and operated over 100 plastic injection systems. It also manufactured it’s own molds internally. I was directly responsible for the re-design and implementation of complete administrative suite, including sales, AR/AP, industrial automation. Their original solution in use was a mainframe software which had several limitations. I have implemented a complete PC-based network solution, migrated existing data, and integrated with online banking for AR/AP automation. Also implemented solutions with Siemens controllers, cad cam systems, automating the plastic injection systems. After the core system was deployed, I’ve designed and implemented data exchange (b2b) with various suppliers. As IT Director, I’ve directly supervised 5 programmers and indirectly managed operations team for order processing. Company sales covered nationwide stores and also export. In the non-profit / social services industry I have designed, implemented and maintained software automation to provide medical (outpatient clinic), laboratorial and social benefits to over 1 million poor people annually with Reencontro Social Services. Always working consistently to a non-profit organization requirements and budget limitations, successfully brought business to a high level of automation and reduction of operational costs during almost 12 years of service. With my consulting services Reencontro implemented several educational courses in various areas, from basic computer usage education to specialized courses in various professional segments such as hair stylist, make-up, electrician, among others. I was honored with awards from the President numerous times for recognition of excellence in service quality, and was provided with a recognition letter upon my resignation after deciding about moving to the USA. Working as senior programmer / director of operations, I have participated in the implementation of various systems to manage the Vianet ISP operations including the design of a control panel, accounting, authentication (RADIUS), management of servers, dial-up circuits, DS1/DS3 circuits. Vianet still operates as a very large Internet Service Provider in Brazil, with a big footprint of privately owned fiber network delivering quality services to it’s customers. I have provided consulting regarding infrastructure / communication design, security monitoring systems and corporate office automation to Starabilias. This company used to operate two large stores in both Downtown Disney Orlando and Downtown Disney California. 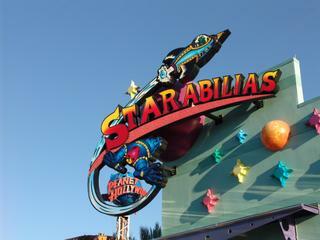 Starabilias was an amazing memorabilia store that sold basically anything you could want in terms of signed celebrity goods. From a Brent Spiner Lifemask actually used in Star Trek TNG to a real Batman mask used in the Dark Knight signed by Chris Nolan, Christian Bale, and the late Heath Ledger, Starabilias had the amazing and the incredible! Some might say they were amazingly expensive, but the owners always guaranteed authenticity of its product in writing. Southeastern Realty Group, Inc. is a perfect example of a proud history and a bright future. They have enjoyed steady growth over the course of over three decades, and at the same time, provided insight, experience and expertise to help other companies thrive too. I have provided 7+ years of consulting services utilizing the Skyline Property Management software and developing data integration throughout the Pervasive SQL back-end into customized internal solutions. I also implemented and gave technical support to Sage 50 Accounting Software solution. A great portion of my life has been dedicated to online education. From the early years in Rio de Janeiro, Brazil working first with La Salle School then with Trend Educational Technologies, I have over 20 years deploying content and management systems that allows students to learn at their own convenience. I also have worked with DriverEducators.com, Florida Safety Council, National Traffic Safety Institute, interacting and complying with regulatory agencies such as Florida Department of Highway Safety and Motor Vehicles. A payment gateway is a service company that authorizes credit card payments for e-businesses, online retailers, bricks and clicks, or traditional brick and mortar. It is the equivalent of a physical point of sale terminal located in most retail outlets. Payment gateways protect credit card details by encrypting sensitive information, such as credit card numbers, to ensure that information is passed securely between the customer and the merchant and also between merchant and the payment processor. I have large experience integrating customized systems with several payment gateway services, including Authorize.net, Paypal, Skipjack, Intuit Merchant Services and Chase Paymentech. Within the payment services I have also implemented connectivity with Authorize.net CIM to assist with PCI compliance. Gutter protection systems essentially promises to keep the gutters leaf-free by having various alternatives of screen and/or perforated aluminium covering the gutter to protect against leaves and other debris. I have provided approximately two years of consulting to a mid-size gutter protection manufacturer, re-designing their CRM system, implementing PCI compliance and installing/maintaining a multi-site Digium Switchvox phone system. I also created their internal knowledge base system for advanced customer support and provided training to end users. I have represented them in external meetings with their large customers, always ensuring necessary technology would be available. Another area of development was integration with UPS WorldShip and back-end integration with their suppliers. To prevent disruption in their communication systems, I’ve implemented advanced SMS800 call routing / failover solution essentially making them to become their own resporg for their toll-free numbers. Also converted all of their public Internet connection in three different locations and internal infrastructure to fiber, adding network management, VLAN’s having performance measuring points to ensure always optimum results. Foam is everywhere. It’s in our homes, our cars and our places of work. It’s in the products we use every day, the factories that make them – and in many places most people would never imagine. 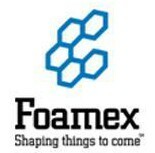 For several years I have assisted the local manufacturing facilities of Foamex International. This company, which was based in Linwood, PA produced various raw materials for OEMs, fabricators and retailers. In their Orlando Manufacturing Facility I have developed administrative and industrial software solutions. I also provided training and technical support including server management and Siemens automation PLC. Also developed portable wireless data collection systems, and implemented real-time integration between the local office and their headquarters in Pennsylvania. One of my passions in life is professional audio. I have a considerably large experience with professional recording, live sound systems and broadcasting. During early stages of my life I have owned a recording studio, which produced over 30 complete audio CD’s. I have done live broadcasting both in Brazil nationwide Manchete televison, also various events from First Baptist Church in Orlando including the worldwide live two-hour broadcasting to over 170 countries of funeral service of Bill Bright, founder of Campus Crusade for Christ. I also recorded live some shows in Florida from artists such as Carlinhos Felix whom I had done over 600 hours of prior studio recording in Brazil. 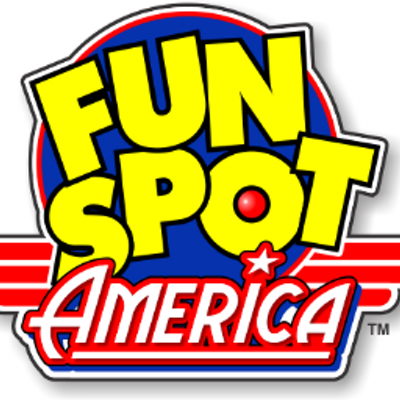 As a consultant, I have designed and implemented various projects with Fun Spot Action Park. This amusement park is located in Orlando on 4.7 acres just off International Drive. It does have 17 attractions, including four innovative multi-level go-kart tracks, seven thrill rides and six kiddie rides. A state-of-the-art arcade and snack bar is located inside a 10,000 square foot building on site. Starting with a complete network re-design, I have implemented new servers and software solutions including POS systems, armband issuance. I have also implemented state-of-the-art surveillance system utilizing multiple GeoVision systems centrally monitored. I also participated in the original design of their location in Kissimmee, implementing connectivity between both locations, surveillance systems, fiber network backbone, audio over IP systems and VOIP phone solution. 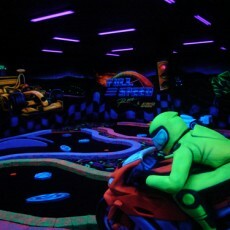 The Full Speed Race and Golf was another amusement park I have provided consulting, installing and maintaining systems. I have also designed a special surveillance system with night vision cameras to allow the monitoring of their indoor golf area which was in the dark. 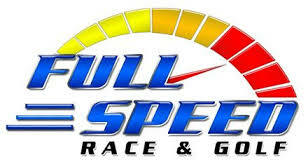 The Full Speed offers six full motion NASCAR Simulators and the World’s only indoor 18-Hole Black Light Racing Themed Mini-Golf Course. You can race with one of your favorite drivers on NASCAR”S most renowned tracks. Each car has full motion hydraulics, a large wrap-around screen and a 400-watt sound system that places you in the race. The sensation is tearing down the track going nearly 200 miles per hour and surrounded by 43 other cars all with one thing on their drivers’ mind. I also provided some services to Universal Studios Orlando while working with UN Computers Corp and UN Services Corp. The services provided were basically of hardware pre-sales and post-sales support. 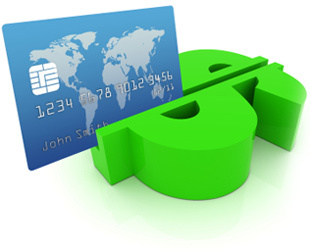 During hardship times, collection agencies are often the alternative for most business to recover unpaid receivables. For most collection agencies, the ability to act fast and have updated information is crucial. Any time wasted is money lost. Time and time again it is proven that timing is everything when it comes to recovering the funds owed by someone. I have provided 3+ years of consulting to Goldberg, Rubin & Stein LLC, a mid-size collection agency maintaining database systems and phone engines which allowed them to send demand letters, make and receive phone calls directly integrated with their internal CRM records, and motivate debtors to pay. I have provided computer hardware repair services to Lockheed Martin Orlando while working with UN Computers Corp and UN Services Corp. Due to the nature of their business, it was necessary to coordinate with their employee for special handling and his presence throughout the services performed. As employee of UN Computers Corp / UN Services Corp, I have provided for about 3 years support services to Nordair USA assisting on installation and configuration of specialized aviation parts inventory. 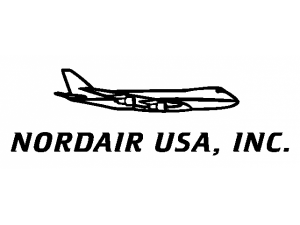 Nordair was founded in 1983 in Luxembourg but moved its entire operation to Orlando in 1991. Operating from Orlando, they deliver parts with same day shipping all over the world. They also assist in locating hard to find items. I have provided 2 years of consulting and customized employee tracking systems to Optima Services of Orlando. The systems included fingerprint time clock tracking, incident / claims registration and logging, along with payroll services. I also provided installation and support of their network infrastructure. This company was responsible for the operations of rental car brands such as Alamo and National at Orlando International Airport (MCO) and also at Sanford International Airport. 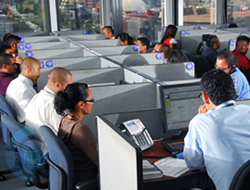 With over 700 employees and a dynamic schedule, Optima services operated from a central office located in Orlando and satellite offices at the airports. Safeguard America is one of Central Florida top alarm installation and monitoring company. His owner, Mark Tosoni has implemented effective sales strategies to grow his business. I have designed, developed and implemented a management system that allows taking customer orders, service request tracking and billing. With the system support their operations was able to effectively control sales and prevent loss of revenue. Their system also connected with credit bureaus for contract risk evaluation. In many aspects I was blessed to live through the evolution of the technology, and follow step-by-step what brought us to the current moment. The combination of electronic knowledge and programming along with being professionally active in the last 30 years really created unique skills that now make me a distinct choice in the market. During my lifelong career I also interacted extensively with electronic test equipment, professional audio and video systems (including pro live audio recording, non-linear systems). Due to the nature of the technology field, it’s almost impossible to list all the systems and skills I’ve acquired throughout the years. As a US Citizen, I am available for mostly any IT-related projects, and willing to undergo through the extensive security check in order to obtain security clearance if necessary. Above everything I’m a highly energetic individual with strong character and targeted to goals, making technological dreams a reality. I strongly believe that if you think about something, it certainly can be done. and it is the goal of professionals like me to trace the right path.